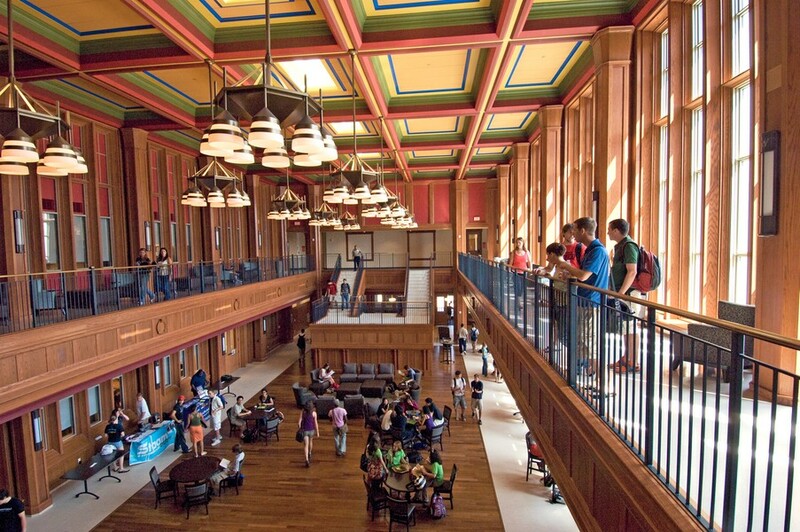 And the Smartest College in the US is…? Well, according to Lumosity, it’s Washington University in St. Louis. Library at WUSTL. They do look pretty smart..
Lumosity, the San Francisco-based online brain training and neuroscience research company, just released its 2013 list of The Smartest Colleges in the US. The results were based on how 70,000 college students across the country performed on a number of games measuring cognitive skills. Sure, the science here is questionable (Who is playing the games? Are they reliable measures of intelligence?) but it’s kind of fun to see any ranking that places Harvard at #8, right behind Rice University at #7 and four spots behind my alma mater, Northwestern University at #4. Written by Ethan Sawyer – Ethan is a writer, teacher, speaker, college essay specialist, and voice actor. He has worked at Elite since 2003 is also the coordinator for the Elite Community Scholars Program, a program very close to his heart. You can email him at ethan.sawyer@eliteprep.com.